Windshield visor decals for your car or truck. 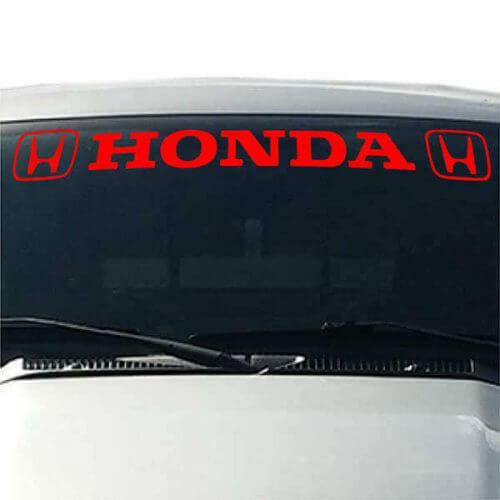 Enhance the look of your car or truck with a front windshield visor decal. Available in an assortment of colors, as well as designs. Only UV and weather resistant vinyl is used. Also, our material is rated for at least 7 years. It is the same material used for boat lettering. 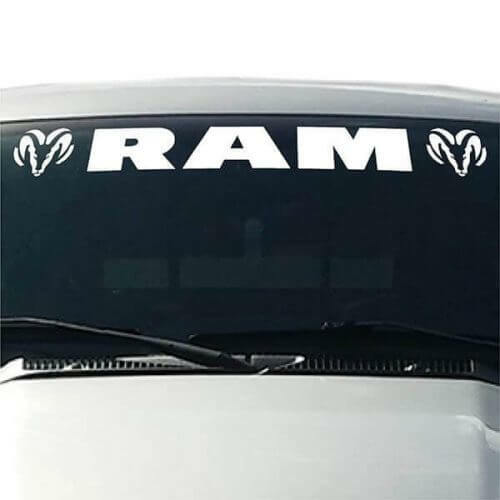 Your windshield visor decal is guaranteed to look good over time. Installing your windshield visor decal is a breeze, when you follow the included application instructions. Graphics are individually cut out from a sheet of solid colored premium vinyl. The design is pre-spaced and placed onto masking transfer tape. 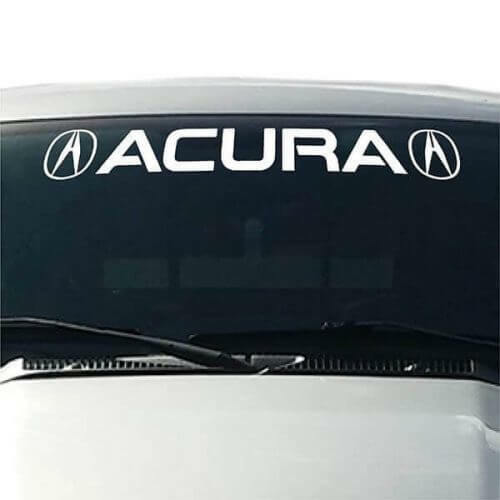 This allows the self-adhesive graphic to be easily installed on your vehicle as one piece. As a result, creating a clean and professional look. 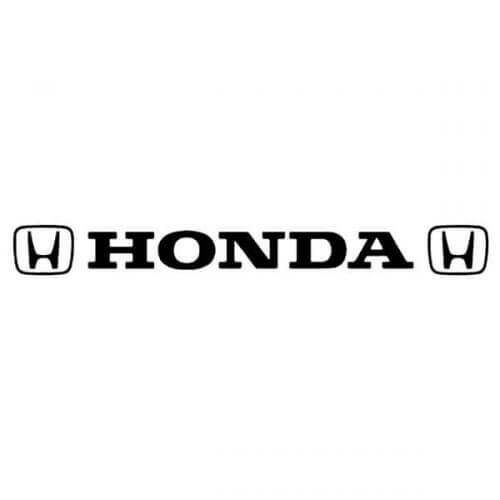 Enhance the look of your vehicle with a 38" wide x 4" high Honda windshield visor decal. Available in many colors. 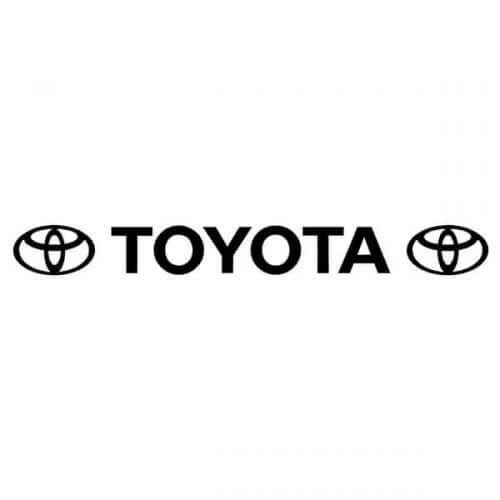 Enhance the look of your vehicle with a 38" wide x 4" high Toyota windshield visor decal. Available in many colors. 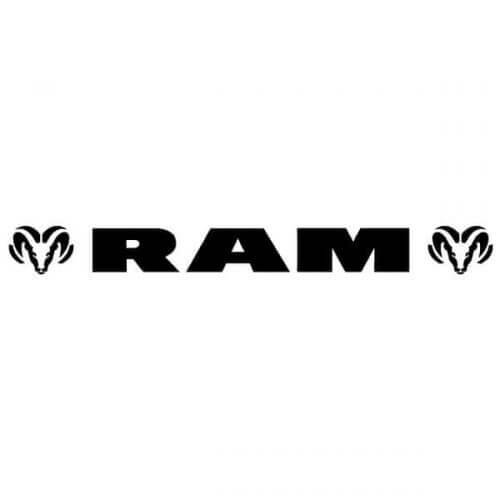 Enhance the look of your vehicle with a 40" wide x 4" high Dodge Ram windshield visor decal. Available in many colors. 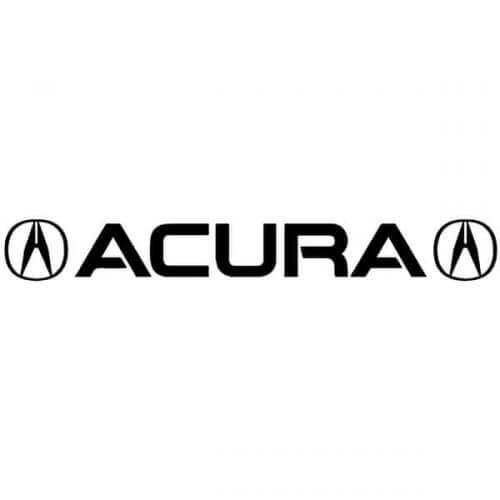 Enhance the look of your vehicle with a 40" wide x 5" high Acura windshield visor decal. Available in many colors.